Bensbach Wildlife Lodge is located in the western province of Papua New Guinea on the Bensbach River and is home to world class Barramundi fishing and an abundance of bird and wildlife. 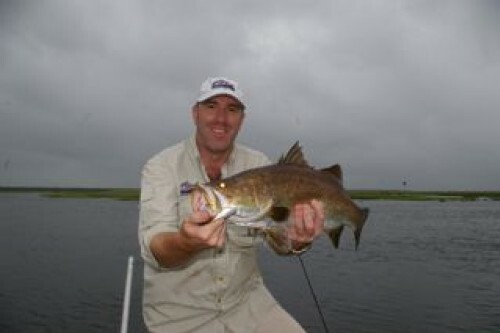 Our www.fishingcharterbase.com is an online fishing charter reservation website. Your fishing charter booking and contract is with Bensbach Wildlife Lodge (Trans Niugini Tours) and is secured with a deposit paid online. However we understand that our customers may have specific questions about fishing in PNG. A fishing charter like this one is a once in a lifetime experience and for that reason, we have paid special attention to providing you with the internets most comprehensive information on Bensbach Wildlife Lodge . This page is written by one of our staff members that recently fished at Bensbach Wildlife Lodge in PNG. Further information on fishing in PNG can be obtained by calling www.fishingcharterbase.com on 0401660745. Bensbach Wildlife Lodge is located on the Bensbach River amidst the floodplains and estuaries of Papua New Guineas (PNG) western province. The closest major town is Daru, an island not far from Australian waters. Bensbach Wildlife Lodge is extremely remote, partially explaining the world class and consistently high standard of barramundi fishing on offer. Bensbach Wildlife Lodge is owned and operated by Bob Bates, an Australian ex-pat also responsible for several other lodges in PNG. 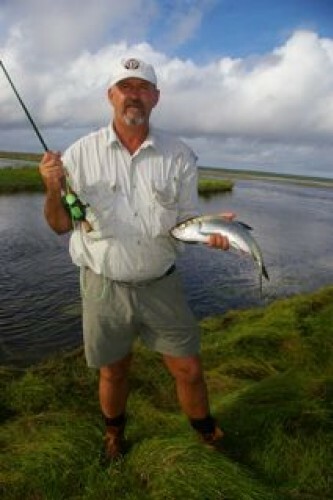 Bob has developed a trusted relationship with his local fishing guides and staff at Bensbach Wildlife Lodge. Bob operates the business from Mt Hagen in the highlands of PNG and regularly accompanies charter groups to Bensbach. Your fishing charter commences at Mt Hagen Airport (about a one hour flight from Port Moresbys Jacksons International Airport) or the airport of your choice depending on the charter flight you decide upon. The booking of all flights is your responsibility as they are not included in the fishing charter package. The only way into Bensbach Wildlife Lodge is using a charter flight. Owner Bob Bates operates his own charter flight and can arrange group bookings. Both the commercial and charter flights are an additional cost and are not included in the fishing charter package price. Flights from Sydney & Brisbane to Port Moresby can be booked online through Qantas (www.qantas.com.au) and their affiliate Air Nuigini (www.airnuigini.com.pg) or through Pacific Blue (www.pacificblue.com) or their affiliate Airlines PNG (www.airlinespng.com.pg). 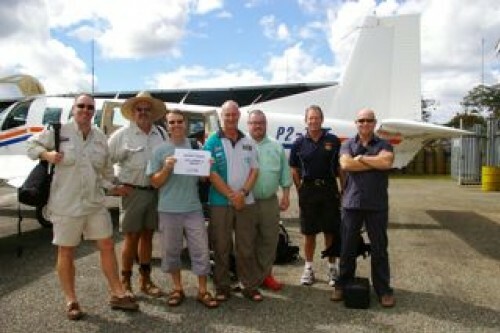 Both Air Nuigini and Airlines PNG operate flights to Mt Hagen from Port Moresby on a regular basis. The international and domestic airports in Port Moresby are located next to each other within under 5 minutes walk within the confines of the airport. Easily the most popular target species on offer for people visiting Bensbach Wildlife Lodge in PNG is the world famous barramundi (lates calcarifer). As the lodge is situated right on the banks of the Bensbach River, barramundi can be caught anywhere from the front of the lodge to a range of tried and tested locations both up and downstream from the lodge. The local fishing guides at Bensbach Wildlife Lodge are intimately familiar with the best snags, run-offs, deep hole, flood plains and rock bars holding barramundi. The barramundi in the Bensbach river are no different to those found in other upstream parts of PNG and Australia. It is not uncommon for fish in the 90-110cm range to be caught on a regular basis each tour. The local guides are skilled at helping locate the best fishing possibilities, and advising on lure choice. The most proven way of targeting the barramundi in the Bensbach river is with casting both hard bodied and soft plastic lures. While barramundi is the key target species for most recreational anglers on the Bensbach River, there are plenty of other species in the river including tilapia and tarpon, both of which can be caught using smaller lures including soft plastics. The river is also home to saratoga, a fighting fish many compare to the barramundi itself. Recommended fishing equipment The fishing charter guides at Bensbach Wildlife Lodge are use to groups of recreational anglers, most of whom bring their own fishing equipment. 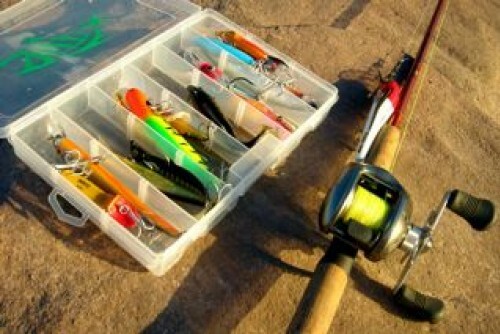 While back-up equipment is available from time to time, we recommend you take your own fishing equipment. Any bait caster or threadline setup suitable for barramundi in Australia will be perfect for Bensbach barramundi. 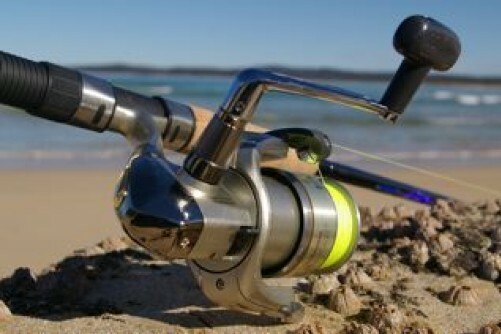 A barramundi or heavy bass rod fitted with a bait caster reel and 20-30lb is one of the most popular rigs. Many of the fishing locations along the Bensbach River are quite open and sit on the edge of the flood plains. For that reason, monofilament line is fine. For those who prefer braided line, there are plenty of snag locations where the ability to put immediate pressure on a fish is necessary. We recommend you take at least one spare rod. There are some huge barramundi in the Bensbach River and the breaking of equipment is not uncommon. Due to the wide variety of landscape and river features, there are dozens of fishing locations all suited predominantly to casting. All popular Australian barramundi lures work fine including Classic Barra, Riedys, Halco and the trusty Gold Bombers and B52s. Our staff found most of the barra active above the 9ft mark so although it is worth keeping some deep divers on your packing list. As the Bensbach River is home to hundreds of well-formed snags and structures, it is perfect for the use of soft plastic lures. Our staff had good success on a range of soft plastic lures as they can be dropped between the water lilies and cast into more confined snags where an immediate lure drop is required. 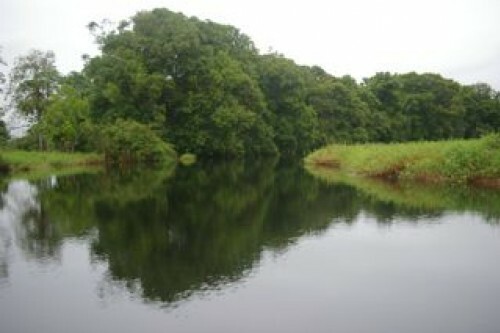 The Bensbach River is also well suited to salt water fly-fishing for both the barramundi and the tarpon. Both are great fun on fly. Facilities at the lodge Given its remote location, facilities at the lodge itself are extremely good with accommodation for up to 12 people, 4 showers, ample toilet facilities and a large dining area. All linen and room servicing is included in the package price. The lodge has a television with a satellite connection although most after dinnertime is usually spent recounting the days fishing adventures. All meals at the lodge are prepared by local staff and include regular serves of fresh barramundi, fresh local fruit, home baked bread and a range of fresh vegetables. A tab-based bar operates each night and is well stocked with local beer, Australian spirits and wine. Drinking water is also available free of charge. A generator powers the lodge until lights out when the power is shut down. Due to its location, the evening temperatures at Bensbach Wildlife Lodge are quite comfortable. The lodge is fitted with Australian power points to allow charging of cameras and other electrical items. The fishing vessels at Bensbach Wildlife lodge are simple flat bottom punts specifically built to handle a wetland river environment. The vessels are completely open (so take a light rain jacket if you are visiting during the wetter months) and provide a flat and open fishing platform. They are equipped with Yamaha 4 stroke tiller steer outboards in the 25-35hp range. While most people that visit Bensbach Wildlife Lodge do so as a fishing charter, the wetlands and river systems surrounding the land-based scenery is home to hundreds of different bird species. It is also home to hundreds of wild deer. Even during the fishing adventure, this additional wildlife makes for some great photographic opportunities. The lodge itself has plenty of space in which to just relax and read a book or listen to music. Useful tips The only communication at Bensbach Wildlife Lodge is an HF radio with direct contact to Mt Hagen so take your own satellite phone if you need to make telephone calls. Think about taking a waterproof bag or container to secure your camera, phone, ipod or other valuable in case of rain when fishing. Take a small collapsible cooler or Esky if you want to take fillets of barramundi home at the end of the charter. For a small fee, local staff will prepare and freeze one of your fish on the last day ready for transportation. If you are interested in photography, take a zoom lens as the country surrounding the Bensbach River is home to hundreds of wild deer and amazing bird life – it is a photographers paradise. While it pays to buy some local PNG currency before arriving in PNG (called PNG Kina), obtain most of your PNG Kina at the currency exchange within the international airport as you will get a much better rate in-country. Meet and greet at Mt Hagen (or other nominated) Airport Transfer to charter plane 4 nights accommodation at Bensbach Wildlife Lodge All meals Laundry Fishing vessel (number of anglers per vessel is dependant on the package purchased) Local fishing guide Cultural tour (if requested) Price & Terms A$2400 (single) A$2400 (twin/double) A$600 per additional night (per person) The cost of this fishing charter is A$2400 per person. 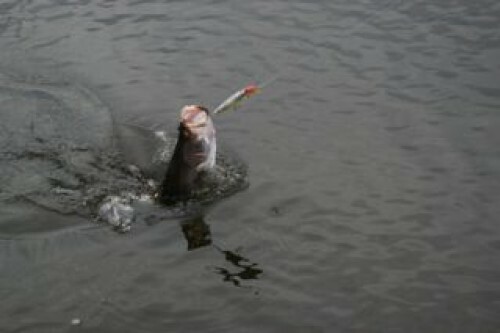 To secure your booking with Bensbach Wildlife Lodge, an A$480 deposit is to be paid to www.fishingcharterbase.com. The balance of A$1920 is to be paid to your contracting charter operator, Bensbach Wildlife Lodge (Trans Niugini Tours) at least 30 days prior to the date your charter commences. Your fishing charter at Bensbach Wildlife Lodge (Trans Niugini Tours) represents a contract between you and as www.fishingcharterbase.com is an online fishing charter reservation website, not a service provider. BOOK NOW or request further information by emailing clicking the “Contact Us” button below. Further information on fishing in PNG can be obtained by calling www.fishingcharterbase.com on 0401660745. Located in the Tonda Wildlife Management Area, Bensbach Wildlife Lodge sits near the border with West Papua – in the remote and sparsely populated south-west corner of Papua New Guinea. Unlike much of the country, there are no towering mountains, but instead, broad and sweeping flood plains teaming with life – deer, wallabies, monitor lizards, crocodiles, cassowaries, sea eagles, pygmy geese and a whole host of other mammals and birds. The flood plains of the Bensbach River area are an important area for migratory birds on their amazing journey from their northern breeding grounds to their wintering grounds in the Southern Hemisphere. Some of these amazing migratory birds include the Curlew Sandpiper and Ruddy Turnstone, which breed in Arctic Siberia and the Yellow Wagtail, which breeds in Eurasia.